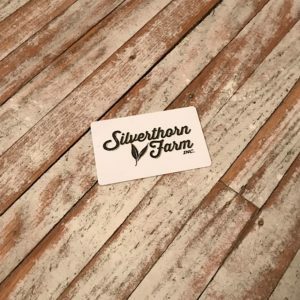 Purchase a pre-paid gift card to support Silverthorn Farm’s operation in the early spring when cash flow is slow. 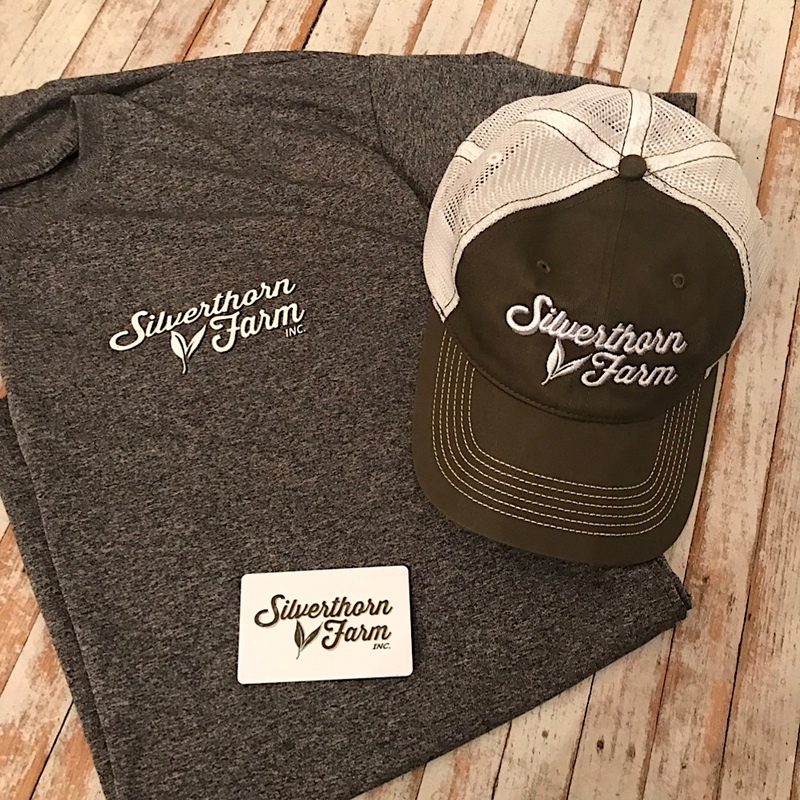 When you spend $200 or more you’ll get a 10% bonus store credit on your card. 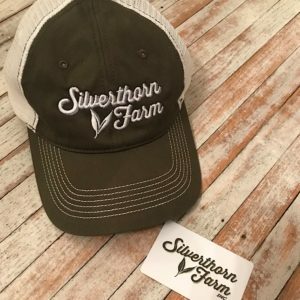 PLUS, when you buy this $400 gift card we’ll also send you a stylish Silverthorn Farm hat and t-shirt. Show your small-farm pride all summer long!